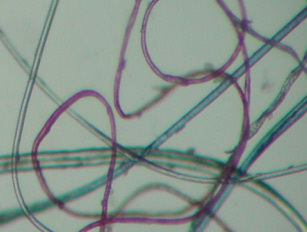 A popular internet image of Morgellons "fibers." A popular internet image of Morgellons "fibers." 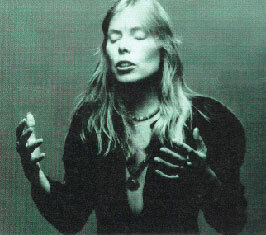 The CDC just conducted their first official study into the validity of Morgellons disease - a bizarre phenomenon in which patients, including Joni Mitchell, insist that they have small fibers or threads growing under the skin and causing constant discomfort. The study involved a group of Bay Area patients, and the conclusion wasn't what they wanted to hear. Essentially, they're all crazy. Morgellons is arguably a group-think delusion, borne in the age of the internet when people compare symptoms and identify diseases they think they have, all by themselves. But at least one Bay Area doctor who treats 60 Morgellons patients here believes the symptoms are real. His name is Dr. Rafael Stricker, and he also specializes in Lyme disease. He says he'll continue to conduct his own research, and he's glad the CDC even bothered to look into it. The symptoms reported range from "lesions," a "tingling" or "popping" under the skin, "body bugs," and tiny filaments or fibers growing in or under the skin that most experts agree are likely clothing fibers that have become stuck to the skin. Sites like this one try to suggest the fibers are some form of nanotechnology (! ), but otherwise there has been no scientific analysis using an example of one of these fibers from a patient. Some say the fibers "float away." Update: It turns out the CDC did test fibers from patients, when available, and found them to be typically nylon, cotton, or other clothing fiber, or human hair. The CDC did find some interesting trends in the 115 patients in the NorCal Kaiser Permanente system who had similar symptoms: they are primarily middle-aged white women, and 60% showed cognitive issues, including memory problems. Two thirds reported chronic fatigue. An earlier study by Mayo Clinic researchers suggested Morgellons was linked to delusional parasitosis. This article has been viewed 12,253 times since being added on January 27, 2012. Hey JM, I'm sorry that you have had to deal with this, as I know very well the pain it causes . I'd been hoping to hear something from your camp and also hopeful that maybe when a loved musician and/or celeb was dealing with this issue, it may push the media to deal with this honestly for once. Sort of like what happened back in the 80's when AIDS 1st showed up. If you remember, the media ignored it for the 1st 3 yrs until Rock Hudson was diagnosed? But then again, today's media is a far cry from the media of the '80's. Please let us know if you hear of any treatments that help. Thanks so much.